Odoo ERP- a comprehensive suite of business applications software offers a well-suited environment for small, mid-sized as well as large scale businesses and enterprises to set-up your business. It includes a wide range of modules like- Sales, Project Management, CRM, Warehouse Management, Financial Management, Manufacturing, Human Resources and many more for smooth processing of your business. Being available on both platforms, namely- on cloud and on-site, this technology is well-suited for small to mid-sized businesses. Initially launched as TinyERP, which was then evolved as Odoo ERP and later in ODOO has experienced more than thousand downloads as well as installations since its inception, It’s an all-in-one business software loved by more than 3 million users. This has made ODOO one of the most preferable ERP platforms and is used by various business verticals. So, if you too own business, you must be fascinated towards Odoo platform, right? But you may be having initial hesitations as you need to start over with software setups or check its capabilities. One of the best solutions to this is to hire ODOO Professional Consulting Services just to make sure and experience how it works. You must be having various why's and how's in your mind which can be addressed by Odoo Consultants. Odoo Consultants walk you through the basics of Odoo ERP and they will also understand your current business flow or planned business flow. Odoo is a flexible ERP and by selecting the right modules and perfect configuration, almost all business get approximately 50-80% of their business needs. Based on overall discussions, Odoo Consultants can give you a demo of what is available as of now which serves your business requirements. What else is remaining? Your specific business functionality! Specific Reports, Forms, Dashboard for easy access, Flows, Data, Migration, User Training, Manuals, and Support. Then it's time to Hire Odoo Developer to work on it. Hiring Odoo Developers team on board to work on additional functionality will lead the specific business to solve their problem. Still not convinced to move further or looking to explore what else can be achieved through ERP Implementation? Here is what we suggest: Go for Business Process Management Services (BPM). Let our experts examine what you do and figure out key parts/points/process which may be dragging your business down and hence you are not getting maximum ROI. Ultimately, software solutions are what we can suggest for your organization regardless of your business vertical and these solutions can definitely get you max ROI, lesser dependency on human efforts, allow you to go paperless and, business consistency as a whole. Seems we have lost our track! We were talking about Odoo Developer Hiring and discussed BPM. Is it! No, BPM can be helpful if the client is keen to explore more and adaptive enough to implement excellent business process. Closely monitor and examine what is going on. Weekly or biweekly demo will be more helpful to check overall project status and milestones. You or your team can ask questions about Odoo flows and get used to it before you go live. We follow agile project methodology and you can be a part of it and add inputs to make sure everyone is on the same page. Other general benefit includes Ongoing Support after project delivery, software manuals for a user, future enhancements reports, crystal clear code. SerpentCS is one of the leading Odoo Service Providers and has established its flagship as one of the top contributors in ODOO Community. 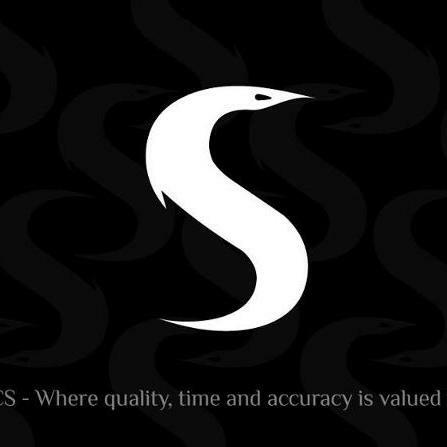 Associating with SerpentCS can help you to establish a seamless business solution and one can easily get rid of hiring own technical team. That's who we are, your consultant, technical team and business advisor. Thus, if you are looking to establish ERP for Your Business and wish to enhance it from all aspects, you can opt ODOO platform. We are a professional service provider and we mean it! Being an expert of ODOO Since 11+ years, we have been releasing some useful tips and news around Odoo every month. Here we go for March 2019. Please note down the ODOO tips coming out of Media around ODOO especially Twitter and Facebook. Let's thank to them. #Odoo restricts usage of Exceptions types to ValidationError for constraints in https://github.com/odoo/odoo/commit/2b1d3ff82dd23fb0372b3b73ecb84841a0d593d3 … be aware of that when testing! Odoo news in Nov 2018. Odoo news in Dec 2018. Odoo news in Jan 2019. Odoo news in Feb 2019.